TAKING A cue from the fraud detection mechanisms of Medicare and Medicaid in the United States, the National Health Agency (NHA) has engaged five analytics firms as part of a pilot scheme to detect fraud in the Pradhan Mantri Jan Arogya Yojana (PMJAY). The company which detects the most frauds over a six-month period will get the job after a tendering process, according to sources. The five firms, shortlisted from among 24 applicants, which are currently collecting their “proof of concept” data are SAS Institute, MFX, Optum, LexisNexis Risk Solutions Private Ltd and Greenojo — the last is a startup. 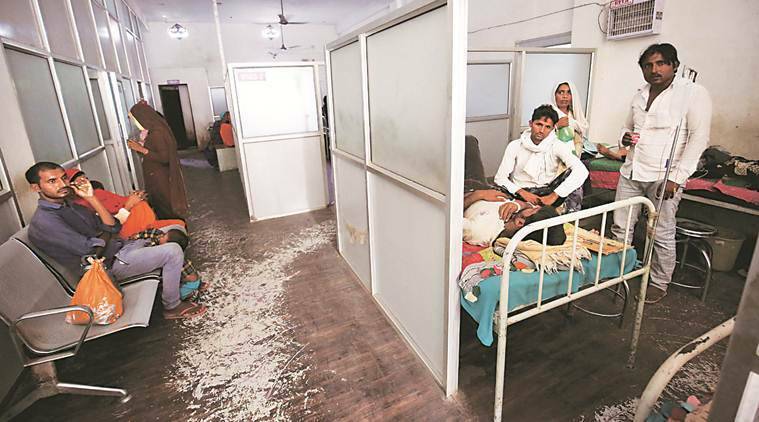 Since January 7, these five teams have been sitting at the NHA office in Connaught Place, looking for suspect transactions or entities — unusual activity at a hospital, any aberrant trends in pre-authorised surgeries, unusual number of claims from a particular area etc. This follows the practice in the US, where a multi-disciplinary team of economists, statisticians, programmers and clinicians is engaged to detect new and emerging fraud. While the team is paid for every fraud detected, the Centers for Medicaid and Medicare Services (CMS) use their inputs to refine and update its system on a regular basis. PMJAY, launched in September last year, provides an annual health cover of Rs 5 lakh to 10.74 crore families. “Prevention of fraud and abuse is central to the success of the scheme. I am not aware whether proactive fraud detection is being done in any other scheme in India but we have NHA ropes in analytics firms to detect fraud in health scheme engaged these five companies for a period of four-six months for the purpose. This is the first time in India that this kind of analytics is being used for the purpose of fraud detection. We can catch a fraud not just after it has happened but red flags can be raised even before a claim is made. We are not paying the companies for the proof of concept phase but there is a confidentiality clause because they have access to sensitive data,” said Dr Indu Bhusan, CEO, Ayushman Bharat. While fraud detection mechanisms exist in several international health insurance programmes, the efforts in India have been mostly passive rather than active. For example, states like Gujarat, Maharashtra, Tamil Nadu and Telangana do pre and post-payment medical audits — of these, only Telangana actually defines a fraud. Meanwhile, the NHA is also planning to use the Microsoft Kaizala app for “boots-on-the-ground” fraud detection — it is set to begin in Chhattisgarh this month. This is customised for field investigations and medical audit. There is geotagging — which means that unless the person using the phone has the location services on, he/ she won’t be able to upload anything on the app. This is to ensure that inspectors are actually on the ground when filing their reports. Fraud detection has been one of the biggest challenges for PMJAY. That is why many procedures have been put on pre-authorisation list, and many others will be reimbursed only if they are conducted in a government set-up.